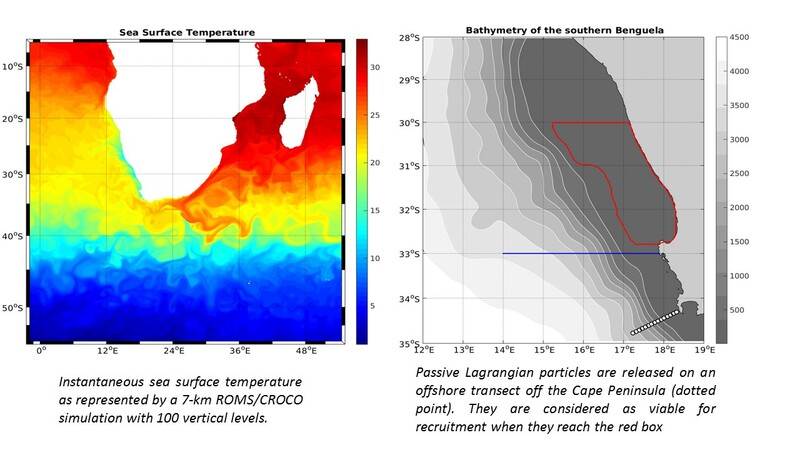 Understanding the connectivity, in terms of Lagrangian transports, between the Western Agulhas Bank and the Southern Benguela Upwelling system is of tremendous importance for linking the observed variability in anchovy and sardines recruitment to the environment. A 7km resolution regional numerical configuration that embeds most of the South-African continent was developed and run for 20 years (1990-2010) with the ROMS-CROCO model using the CFSR atmospheric re-analysis. It is used to study Lagrangian pathways of particles released on the Southern African Shelf. 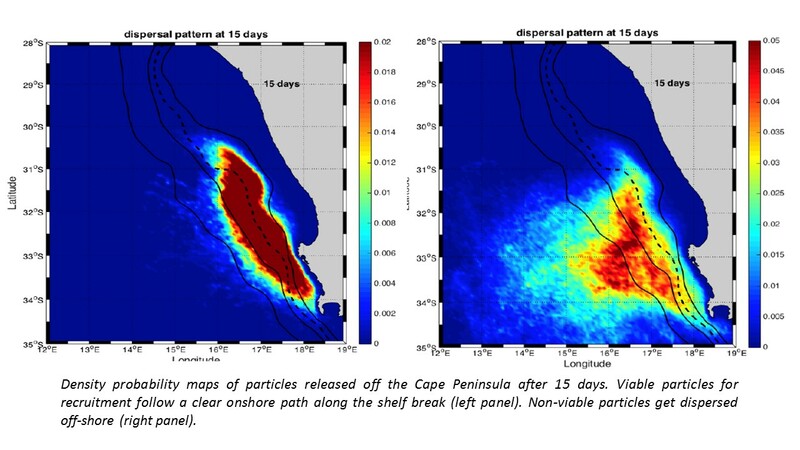 There is a northward along-shelf inshore route that is most successful during the early upwelling season. In the core of the upwelling season, the poleward undercurrent intensifies and extends vertically towards the surface, reducing the northward along-shelf transport. Particles taking that inshore route have a very laminar party that contrasts to the ones located further offshore. The influence of mesoscale and intraseasonal wind variability on the pathways still remains to be studied in details.